How to Obtain a Contract Phone Despite a Bad Credit? Posted by SizloTech on Jun 13, 2014 in Mobile Phone | Comments Off on How to Obtain a Contract Phone Despite a Bad Credit? 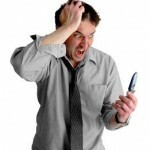 Do you have to struggle for a contract phone because of having bad credit? 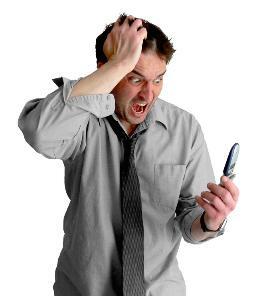 Are you being turned down regularly by mobile phone network providers because you are having a tough financial time? Don’t worry! There are companies like YES Phone Contracts through whom you can enjoy the services of a contract phone despite having a bad credit. But before knowing more about how to get contract phone deals with bad credit, it is important to know why mobile phone companies deny making contact with you. The reason for this is smartphones are highly subsidized. Through contract deals, a free mobile phone is offered to customers for a 12 or 24 month contract. The customer thus gets a brand new phone without paying for it immediately. The network retailer gets the money from your monthly billing. In such a case, if the phone company thinks that you are a high-risk client (as you have poor credit), they may not want to take risk on you because there high chances that they may lose money by offering you the contract. So, what should you do to get phone contract despite having a bad credit? Let’s see. This is the starting point from where you can look for contract phones with poor credit. You may have to sacrifice at some points like features so as to start rebuilding and once you prove that you can pay, you can obtain the topmost high end handset. By choosing a handset not having the topmost features, you reduce the risk to the phone company, and so, there are higher chances to become successful, than those if you choose a highly featured phone. When you have a bad credit, the company you are approaching for a contract phone is concerned the most about the overall cost of the handset. Therefore, it is wise to choose SIM only deals. These don’t include handsets – therefore generally cover a much shorter duration of time and can work via a rolling monthly basis. SIM-only deals pose a very little risk to the mobile phone company. So, there are low chances that they will deny you; thus you get a chance to rebuild your credit rating. An upfront deposit too reduces the risk to the mobile phone company significantly. Therefore, they are ready to offer you the contract when you are ready to pay a deposit. This is probably the most popular method of getting a contract phone despite having a bad credit. While struggling for a contract phone with bad credit, it is often wise to contact the network directly. Moreover, contacting a customer service representative is even better because s/he can offer you more flexibility, because many retailers have certain policies to adhere to. If you are rejected by one network, that doesn’t mean that all others too will reject you. So, keep shopping around. Every network has different rules and some may be more easygoing than others. Once you are successful in getting a new contract phone, you can regularly pay your monthly bills and improve your credit rating. This will enable you to get a high end phone you desire in future.